Ra One hit the screens on Diwali and while some critics gave it a thumbs up for blending elegance of Hollywood with Indian sensibilities, others panned the superhero drama by labeling it just as a video game. 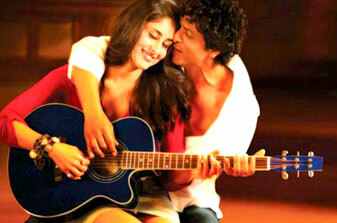 It has managed to collect Rs.18 crore at the home box office on the opening day. Salman Khan's "Bodyguard" -> earned Rs.22 crore in the domestic market on the opening day. Directed by Anubhav Sinha, the Rs.150 crore film, which also stars Kareena Kapoor and Arjun Rampal in prominent roles, was released in as many as 3,500 screens across the world. Even before the film reached the theatres, its makers earned money by selling its satellite rights reportedly for for Rs.35 crore and the distribution rights for Rs.77 crore.